For over 50 years, the Osmonds have experienced the highs and lows of every facet of the entertainment industry. This website is an attempt to recreate their careers as they unfolded. You will see how this legendary family's bonds become stronger and closer. You will see how the Osmonds have been able to adapt and adjust through their journey, and you will see how they continually reinvented themselves to stay current with the trends. You will share their success, their laughter, and also some tears, but through it all the Osmonds have remained humble, genuine, and true to themselves. 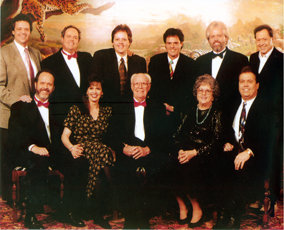 To get a more indepth look at the Osmonds, click and explore each link on the left and watch their careers take flight! Disclaimer: We do not represent or warrant that we, (Osmondmania.com it's affiliates, and owners) own any of the content posted on this site, including youtube videos. We collect, organize and link to items that are posted by others from the world wide web that pertain to the Osmonds' entertainment history. Therefore, we are not responsible for the content, quality or if links are broken or interrupted.